This often forgotten coverage is becoming a ‘must have.’ Ask us about the coverage available for your clients. Providing opportunities to provide your clients with competitive life carriers. We work with you to offer the benefits of top DI carriers for the needs of your clients. Providing Medicare Supplemental Insurance is a growing and important option. We work with you to find the right plan for your clients. Insurance resources for independent insurance brokers and agents! Hildebrand Insurance Services is a wholesale insurance brokerage agency that offers the products and services independent agents and advisers need to succeed. Even more importantly, our representatives make it easy to get the products you need, ensuring everything from product selection to underwriting is a seamless, hassle-free experience. We offer the very best in quality insurance products that include disability, life, group and individual health, Medicare supplements, dental insurance, fixed annuities, critical illness coverage and more. Superior back-room support from start to finish. 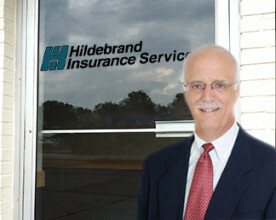 Hildebrand Insurance Services has earned a reputation among insurance agents, advisers and independent agencies for simplifying your business. Our general agents know that your business grows when you’re selling, so we provide the back-room support that takes the burden off your shoulders. From expedient turnaround on quotes, to support during and after the underwriting process, our wholesale insurance brokers give you the freedom you need to grow your agency. Our website was built to provide 24/7 access to resources that help you grow and succeed. You’ll find training information, helpful links, webinars and a host of other resources. You can also download industry specific forms by simply logging in. We want to ensure that you have what you need when you need it. Click Here to contact us and enjoy the support you need to succeed today!